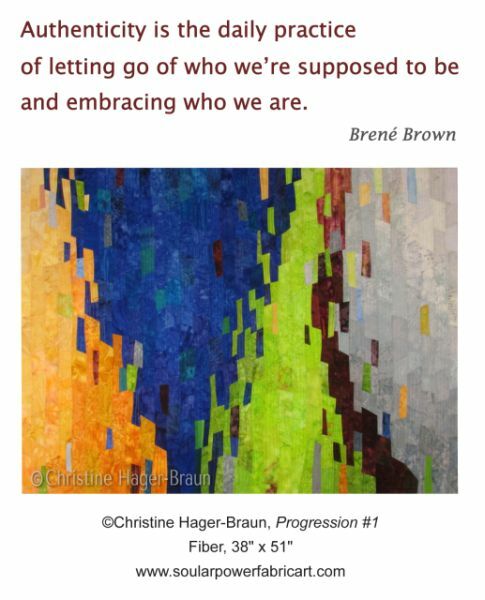 It takes courage to live with authenticity, especially in the beginning. It takes a lot of courage to tear down a façade that we kept up for a long time. Buying fancy clothes, driving a big car, living in an upscale neighborhood, although we go in debt for all of this. Acting tough although an important relationship is falling apart and deep inside us there is intense pain. Pretending we are fine although we struggle with depression, anxiety attacks or other forms of mental illness. Frankly, it takes a lot of energy to maintain this false truth for the outside world. But we prefer to invest this energy because we feel ashamed of the ‘real’ truth, we are afraid of not being ‘good enough’. It takes time to realize we are enough. So, how about you commit to living authentically by making small steps? Dare to disagree instead of being silent. Say no instead of accepting a task you don’t want to do. Be mindful of your choices and embrace who you are! Wishing you a week with gentle opportunities to be true to yourself!